Welcome to the “Alumni Spotlight” monthly series. Learn how our UI&U graduates are living the UI&U mission of engagement, enlightenment, and empowerment. Education: UI&U Ph.D. graduate (2002), master’s degrees (Architecture and Community Psychology), and an undergraduate degree in Health Sciences. Profession: Expert in human-focused design, award-winning author, consultant, designer, lecturer, former director of Design for Human Health in the School for Design Studies at Boston Architectural College, currently Associate Professor at the University of Nevada, Las Vegas. A. My Ph.D. has meant more opportunity to do what I enjoy; teaching and writing. For a person who never really liked being a student, getting a Ph.D. was never on my radar. The Union model prepared me for success because it was all about being self-directed. This skill has enabled me to write books, and to remain focused on the development of a career in academia. A. It allows people like me who see and interpret the world in a more unique way. I think a more traditional setting might have stifled my creativity, and my ability to problem solve through innovation.  Because Union offers a more interdisciplinary approach to education, I was able to identify and understand overlap and integration of assorted factors that contribute to the myriad of problems that our society faces. A. Take this unique opportunity to push yourself hard and stay focused on your passion. The Union program can help you to be the best person you can, but you have to develop self-discipline and find your focus. The school will not do that for you, but they will provide you with the support and strength to get up when you fall, clean up your scrapes when you find yourself lost in the weeds, and someone to hold your hand when you get bruised. A. Maybe the five books I have authored, coauthored and edited? Maybe the invitations to the Middle East, Central America, and Asia? Maybe having the privilege of being selected for a governor-appointed position (add to the Health and Planning Board?)? No, my greatest accomplishment has been as the cheerleader for people who came from my world. A world of poverty, no role models for academic success and places where doors are always being slammed in your face. My greatest accomplishment has been helping the underserved populations to find ways to their own success. Dr. Kopec is a renowned expert in human focused design, an award winning author, consultant, designer, lecturer, and former director of Design for Human Health in the School for Design Studies at Boston Architectural College. 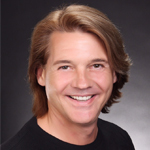 Dr. Kopec is currently associate professor at the University of Nevada, Las Vegas In addition to his UI&U Ph.D. (2002) he holds two master’s degrees (Architecture and Community Psychology), and an undergraduate degree in Health Sciences. He is certified as a Master level Health Education Specialist (MCHES) and a Health Homes Specialist (HHS). Dr. Kopec was appointed by the Governor of Hawaii to the Hawaii Health and Planning Board, served two appointed terms as Fulbright reviewer, and is on the advisory board for the DeafSpace initiative at Gallaudet University. He’s been invited to Costa Rica and Qatar to discuss health and wellbeing and to Taiwan to discuss future trends toward health and wellbeing. His professional practice is dedicated to environmental modification for special populations such as Alzheimer’s disease, visual deficits, and a school serving emotionally disturbed youth. His work earned him a volunteer of the year award from Rebuilding Together. Visit the Welcome Alumni page and learn how you can stay engaged with the UI&U alumni by clicking on the button below.